When the Audi e-tron first made its official debut, its range and charging speed were both better than any EV SUV in the same price range. With 248 miles of total range and a charging speed of up to 150 kW, the e-tron currently sits atop the electric SUV market within its price range. Sure, the Tesla Model X P90D has more range (though a lower charging speed of only 100 kW) but it costs a lot more. However, the e-tron won’t be sitting alone for long, as the upcoming BMW iX3 is claimed to have identical numbers. According to a recent press release from BMW, the upcoming iX3 will also have 248 miles of total range and will be capable of 150 kW charging. To do so, the BMW iX3 will use the brand’s own in-house electric powertrain, which is actually quite impressive. Also, these numbers should be quite accurate, because they’re said to have been tested on the very strict WLTP cycle. In terms of performance, it should be interesting to see how the two compare. 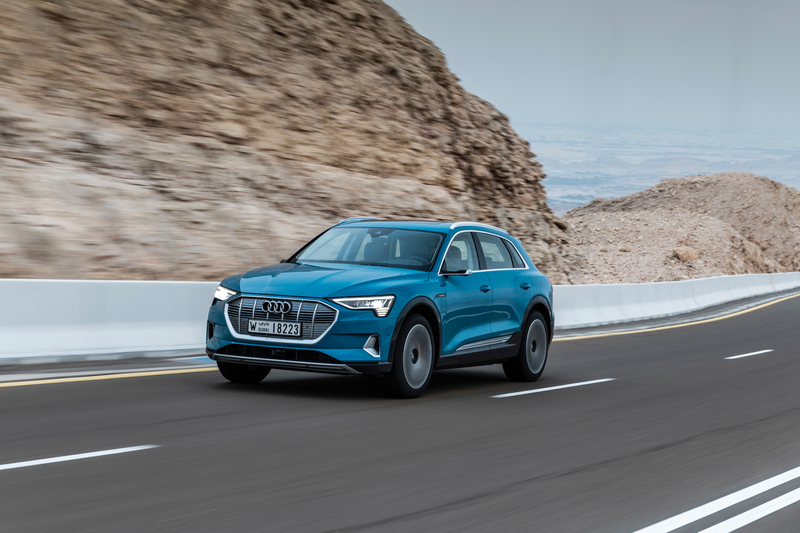 While the Audi e-tron makes more power, as it makes 355 hp and 414 lb-ft of torque from its two electric motors, it’s also a lot heavier. The BMW iX3 has one lone electric motor making 270 hp but the car is also quite a bit lighter. So it will be interesting to see which car ends up being faster. That, along with interior and technology, will be one of the few deciding factors between the two for customers. Price as well. With the Audi e-tron coming in at around $75,000 to start, the BMW iX3 could be quite a bit cheaper, as it’s based on the standard BMW X3 which starts in the low $40k-range. Either way, the e-tron will no longer be the long segment leader in terms of range and charging speed.